How do you find the best sleeping bag? I thought you’d never ask! This page is the culmination of our years of research, reviews, comparisons, and news coverage. As an outdoor gear authority, we make it our business to know the movers and shakers in the sleeping bag space! In the following sections, you will find a compendium for every review we have done, prompted by criteria intended to guide you on your journey. Follow the headings and the links to determine what your sleeping bag needs are and which brands to check out first. 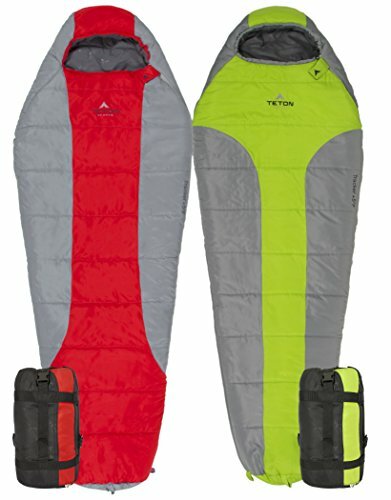 The Best Sleeping Bag for YOU – What Are Your Needs? Step #1 – What Are Your Conditions? Step #2 – What Are Your Activities? Step #3 – What is Your Budget? First things first. 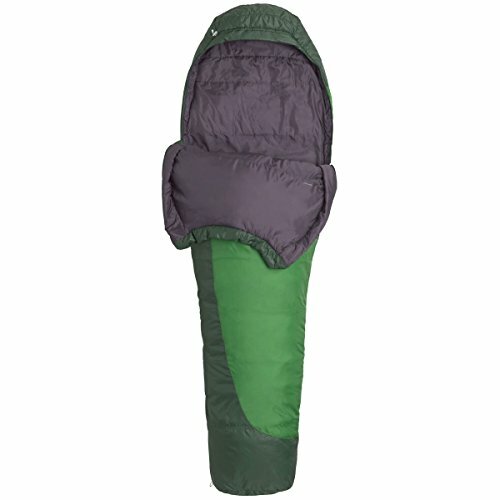 The best sleeping bag is going to depend greatly on what type of conditions you intend to use it for. I wouldn’t want to recommend – for example – the best sleeping system for warm weather, if you happen to be hiking above the snow line. The following is a breakdown by “type” of use. Navigate to the heading that best reflects what YOU need. Environmental conditions are the first consideration and probably the most important “use case”. When it comes to cold weather, it’s still important to be specific within the category itself. In particular, Zero Degree vs Sub Zero sleeping bag debate is essentially what it comes down to. Zero Degree (Below Freezing) Sleeping System: As it sounds, these systems are rated down to 0 degrees Fahrenheit. A good zero degree bag is generally adequate for most cold weather sleeping situations. One of my (new) favorites in this category is the Kelty Cosmic Zero Degree bag. For a closer look at our top rated best cold weather systems rated for zero degrees, check out this mini-guide I created. Sub-Zero (below zero) Sleeping System: This is where things start to get really intense. I’d generally only recommend a sub-zero bag if you expect temperatures to consistently be near or below zero degrees. Why? Sleeping in a sub-zero sleeping bag at – for example – 20 degrees can turn into a sweat lodge. There is some danger to sweating while you sleep and then having to start your day in below freezing temperatures with your body already moist/damp. However, having camped in Alaska in sub-zero conditions, a proper sub-zero sleeping bag can be the difference between disaster and comfort. Ratings are generally from less than 0 degrees all the way to -40. I’ve never needed a -40 bag. If you do, it’s likely for extreme situations. My personal favorite in this category is the Marmot MemBrain Down sleeping bag, rated for -20 degrees. It’s more expensive because it’s “down” material, but it makes all the difference (and is lightweight too). Pro Tip: everyone is different. Each of us generates a different amount of natural heat. For example, men tend to sleep naturally warmer than women. It’s generally a good idea to bring a variety of layering clothing to be on the safe side. I’ve personally slept in a “zero degree” bag in -10 conditions with long underwear, wool socks, and a warm fleece hat. In some cases, you can “stretch” your sleep system beyond the retail constraints with proper layering. ALSO: a sleeping bag with a “hood” covering is ideal, seeing as that’s where you tend to lose the most heat. The other obstacle to a successful outdoor adventure is moisture. Whether you will have to put up with the infrequent shower or are camping in wet humid climates, a good wet weather bag can mitigate disaster. For wet and cold, see further down. Wet AND Cold Sleeping Systems: Cold and wet. The two worst things a camper faces. Even at 50 degrees, wet conditions cam lead to cold weather injuries, particularly as your core cools down at night. In general, the two best options for cold weather are synthetic or down material. The problem is, down loses it’s insulating power once it becomes wet. With that being said, the best sleep system for cold and wet conditions is generally a synthetic bag with a high quality rain liner/cover. Also consider a hood covering to maintain heat at night.One of our favorites in this category is the Big Agnes Wind Lip 28. Just Wet Sleeping Bags: If the cold is not your primary concern, but the wet IS, there is a slightly different set of criteria. For wet and humid climates, damp conditions can lead to a variety of persistent issues. You will want something that is breathable, but also something that will dry quickly and retain any insulating properties. In short, you will need something adaptable. Sometimes the enemy is your own sweat! As such, stay away from down. One of our top options is the Mountain Hardwear lamina 45. It is excellent at repelling water while also having a liner that wicks away moisture. Pro Tip: Not all down sleeping bags are bad for wet conditions. Some are treated with special conditioning to maintain insulating power when wet. Just make sure to check the product description. Warm weather sleep systems can be categorized into one of two general areas. The main distinction is hot desert vs humid climates. While average daily temperatures may appear similar, there are important differences that effect your sleeping bag choice. Best Desert Sleeping Bags: Temperatures in the desert fluctuate wildly. 90 degree heat during the day, can dip to 45 degrees (or lower) at night. As such, you will want to make sure you have a sleep system rated for these “lows”, irrespective of the “highs” during the day (unless you plan on sleeping during the day). Our top recommended choice for this environment is the Desert Pine Plus 20 bag. It is warm enough for cool desert nights, but features a two layer construction for warmer nights. 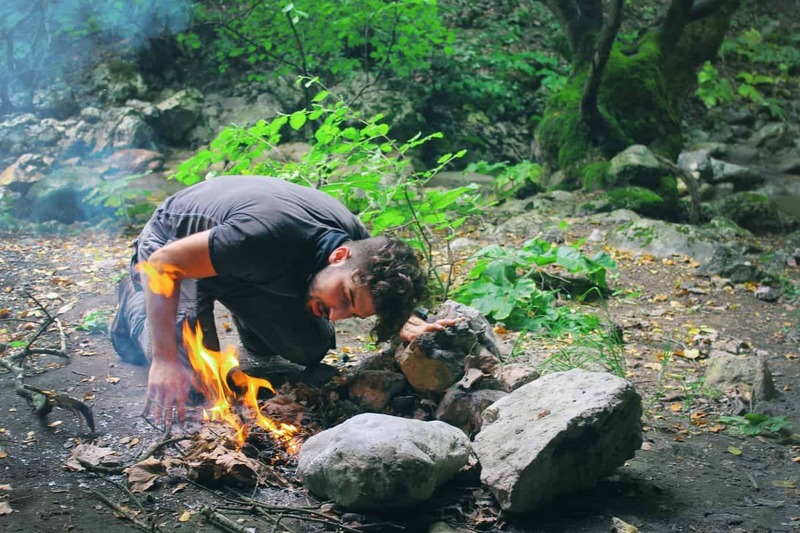 Best Sleeping Bags for Humidity: Hot and humid climates are generally tricky. If it’s particularly humid, you will want to control and mitigate your own perspiration. Generally, adding an intermediary liner to a +30 degree bag is sufficient. 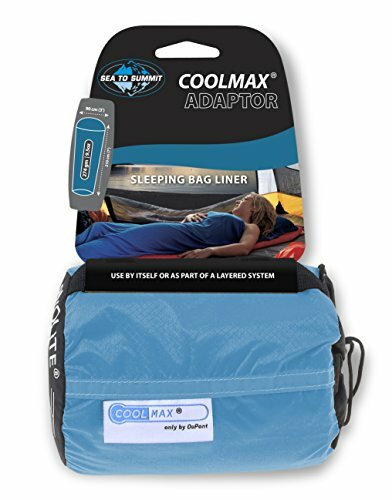 Instead of buying a specific bag, look at add a specialty line, like the Sea to Summit Adaptor CoolMax. It adapts to varied warm temperatures and humidity levels. If it is extremely hot, you can even ditch the sleeping bag and just sleep in the liner. Pro Tip: A liner is a great way to plan for multiple and variable weather contingencies. While the extra weight might be a concern it’s well worth it for uncertain temperatures, especially multi-day treks. Best Lightweight Sleeping Bags: Whether you are on the trail for the weekend or for weeks at a time, conserved space and pack weight can be crucial. This applies for any trekking, hiking, or camping trip where you will be packing in and out under your own two feet. There are generally two categories: lightweight and ultra lightweight. In general, less than 3 pounds for your sleep system (bivy + pad + liners) is a good target weight to stay under. Bags less than 2 pounds are ideal, with ultra light options getting closer to 1 pound. 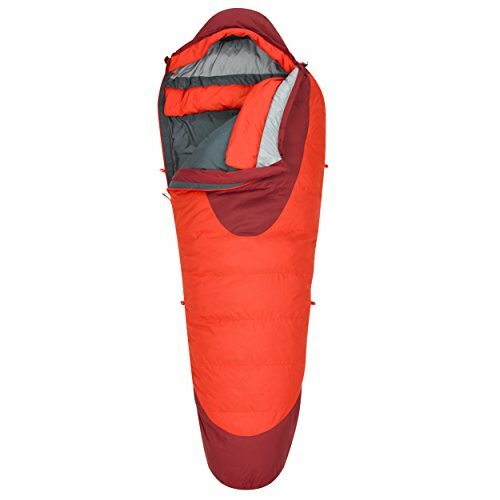 A top ultralight option is the Igneo Sleeping Bag, a 3-season bag rated at just 1 pound, 13 ounces. Sometimes it’s just about budget. As much as it is fun to spend lots on fancy gear, you don’t NEED to spend much to have fun outdoors. With that in mind, below you will find budget options. Best Cheap Sleeping Bags Under $100: Cheap is a relative term, but in general you will have to be willing to shell out at least $100 for a decent system. While you can find bags for these, there are more of the backyard camping variety vs. outdoor expeditions. A good mix of value, performance, and price is the Teton Sports Tracker +5F system. It comes in well under $100 and is among the more durable options in this price range. The temperature rating is also quite good for the price tag. Another good option for higher temperatures is the Marmot Trestles 30. Pro Tip: If you are a serious outdoor adventurer, investing in a more expensive sleeping system will probably pay dividends down the road. Cheaper brands tend to “lose” heat ratings with extended use over years. However, a good premium bag can last for a decade or more without any thermal degradation. Of course, proper maintenance is always key.